Duesenberg Guitars, based out of Germany, has been producing high-end electric guitars and basses with a distinctive Art Deco design since 1986. The company’s name alludes to the legendary car company Duesenberg. Guitars are assembled in Germany where Korean woodwork is combined with parts from various sources in the Far East and Germany. Most hardware, including the single-coil/vintage, P-90 and humbucking pickups, are designed in-house. The electric guitars feature solid and semi-solid, 12 and 6 string models. 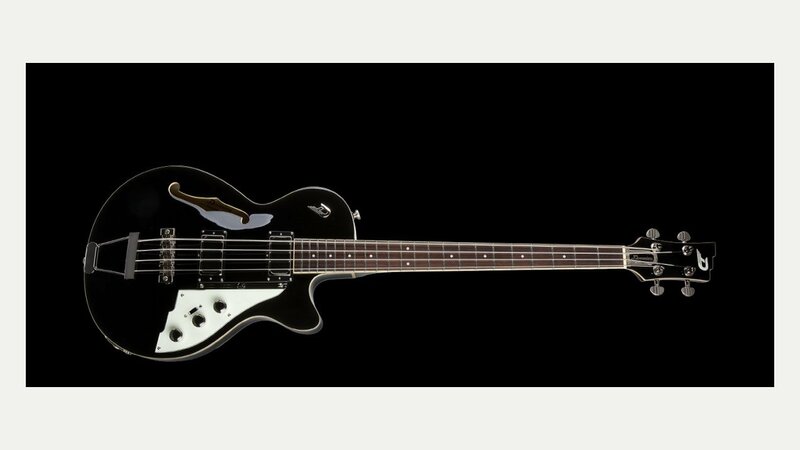 The range also includes signature models for Carl Carlton, Ron Wood and Mike Campbell, and custom models for the likes of Keith Richards. In addition the company has designed a range of replacement bridge/vibrato units. These include one based on the famous Bigsby vibrato and incorporates a novel locking device, while another is a bolt-on version of the B-Bender. Dieter Gölsberg is the Founder and designer of Duesenberg Guitars, having a penchant for the look, feel and sound of old instruments with the addition of modern innovative technical components.